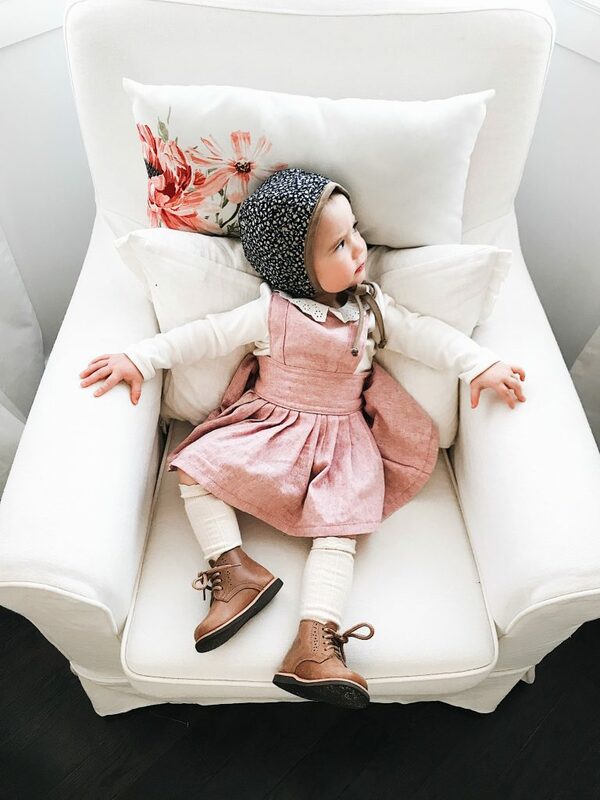 One of the best mom hacks out there is sneaking veggies into our little ones diets, am I right?! Smoothies, muffins, and my favourite puffs recipe are all great options…..but what about dinner ? I don’t know about your little ones, but Liberty is a pro at flinging her veggies across the room. 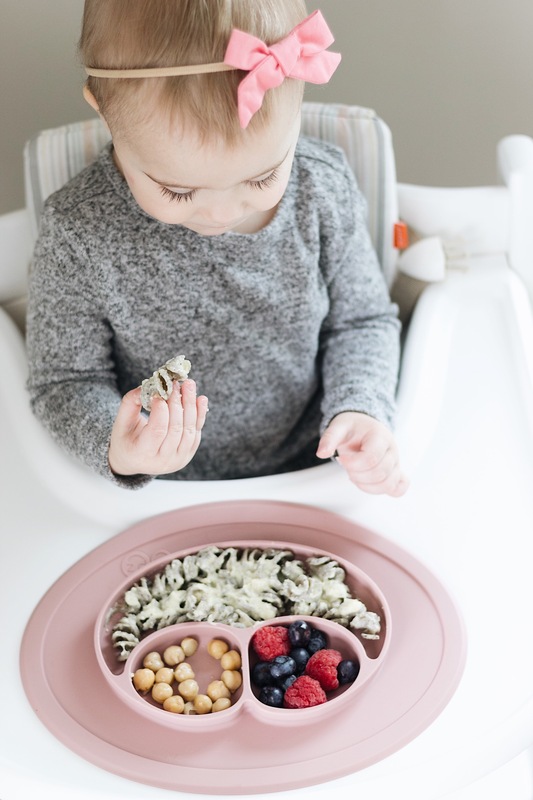 My baby that once loved all food now snubs her nose at broccoli and won’t even look at a pepper, so what’s a mom to do but sneak the veggies in without being detected……self proclaimed mom ninja over here. 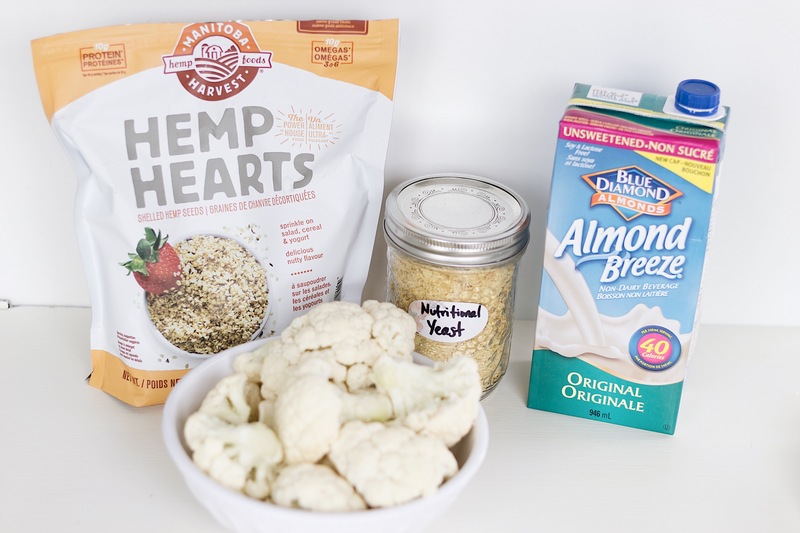 Cauliflower is one of those veggies you wouldn’t think is full of nutrients, I only recently discovered how amazing this vegetable really is. Being plant based a good creamy sauce was one thing I was having a hard time finding, but using cauliflower has been a life changer. 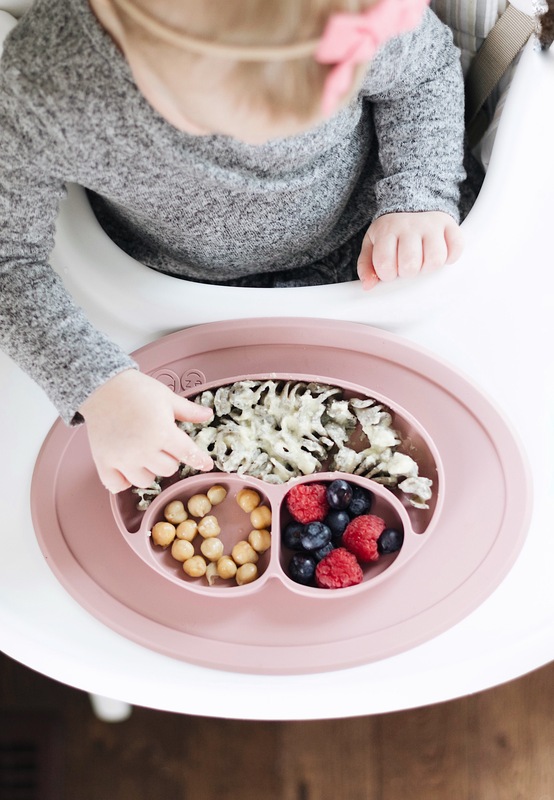 Combined with the nutritional yeast and hemp hearts this is the perfect dinner for a vegan or non vegan baby, FULL of protein, healthy fats, vitamins and minerals. 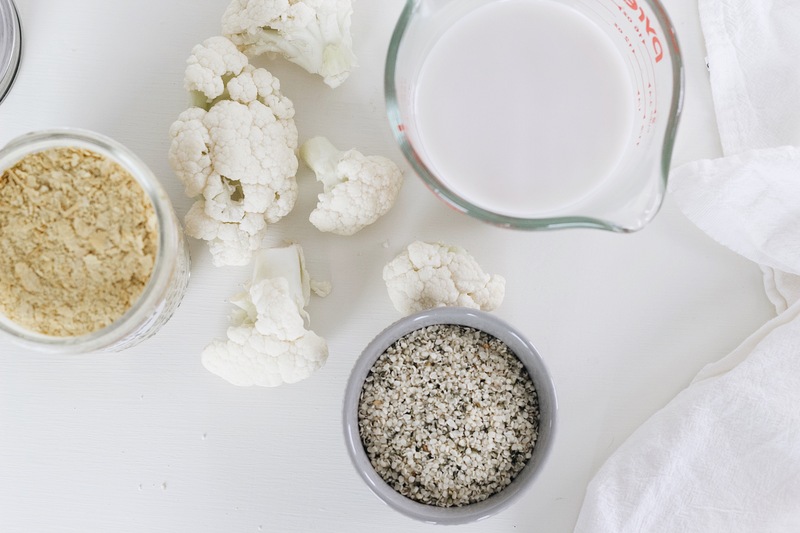 Did you know a single serving of cauliflower has all your recommended daily intake of Vitamin C?? Also nutritional yeast is an excellent source of B vitamins, which is one of the harder vitamins to get as a vegan, plus a whopping 8 grams of protein for only 2 tbsp! Wowza. In a pot, with a steam basket in the bottom, steam cauliflower until it falls apart easily when pierced with a fork. 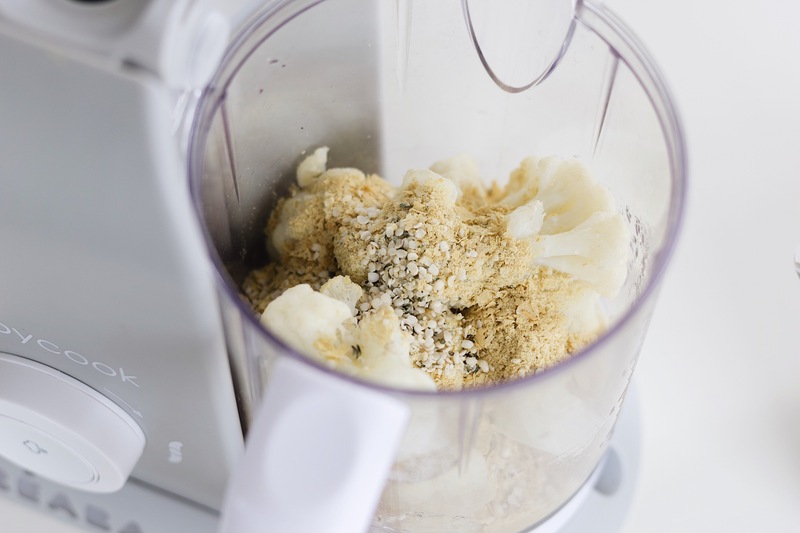 Drain cauliflower and add to blender (or Babycook if using). I don't season the sauce if I'm feeding it to Liberty. 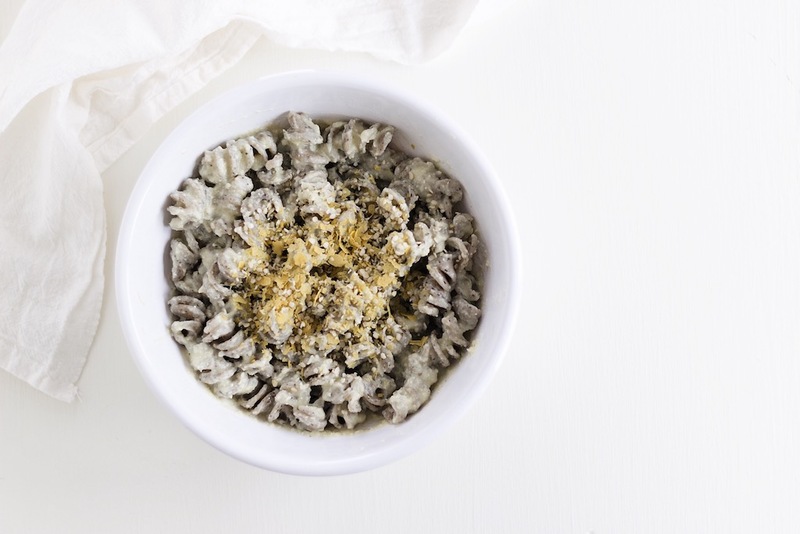 For the rest of the family I will use a little salt and pepper and serve over pasta, spelt or buckwheat are some of our favourites with this sauce. 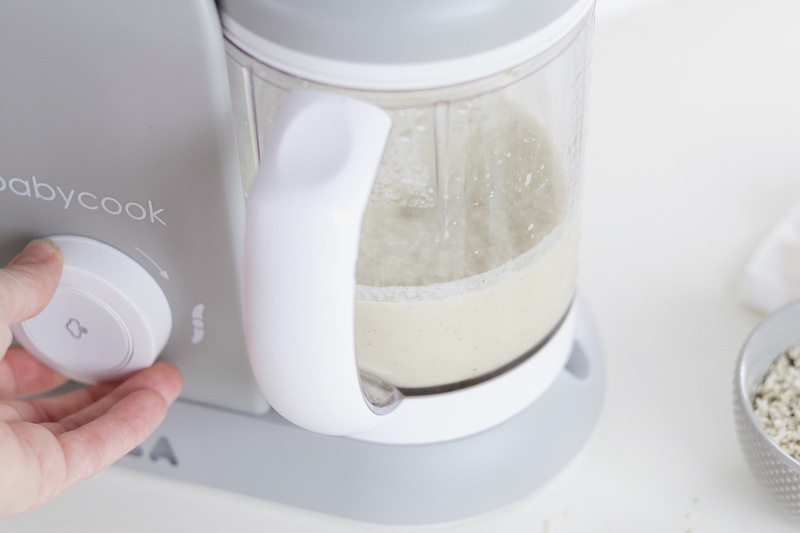 ** I love our Babycook and use it for this recipe 90% of the time. It's all cooked and pureed in one so saves on dishes and time, that's a definite mom win! Only time I will use a blender is when I'm making larger batches or feeding more than two of us. *** I will often make a double recipe and freeze in ice cube trays, then transfer them to freezer bags. 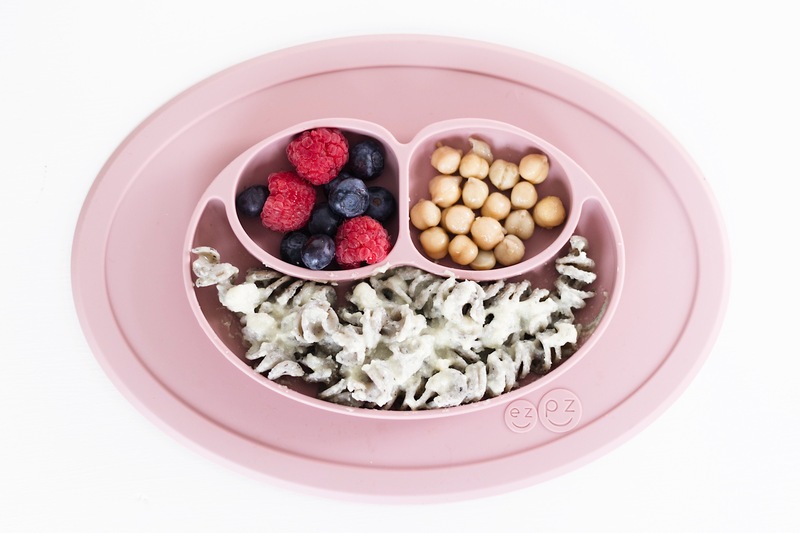 Easy to grab out of the freezer, defrost and serve baby alone or over pasta! I can whip this recipe up so quickly it’s become a lunch staple around our house. I make large batches of the sauce and freeze it in ice cube trays then transfer them to freezer bags. Perfect for when you need something fast, just pull out a couple cubes, defrost them and mix with pasta! It’s like Kraft Dinner for vegans lol.